Belkin has announced the availability of the 15,000 mAh variety within their popular Pocket Power range. Out of all the Belkin power pack options available, the 15K is the most powerful, with the ability to charge a smartphone up to 5 times. 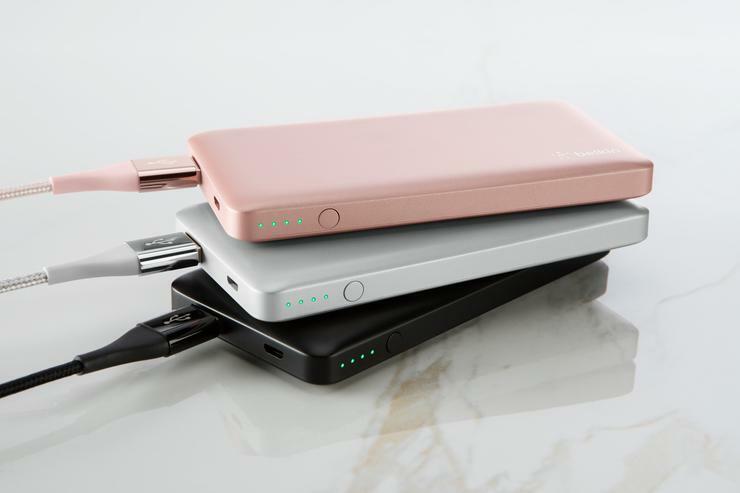 Featuring polymer battery cell technology, the new Pocket Power range is lighter and thinner than their predecessors, and are equipped to charge multiple devices at an affordable price point. All batteries include sensors to monitor heat, voltage and circuitry to ensure the device won’t overheat or surge. Excess heat, voltage fluctuation or circuit abnormalities activate an override that immediately shuts the battery down and keeps the devices safe. The Pocket Power 15K promises an additional 43 hours of call time to a smartphone, or an additional 34 hours of web browsing. Multiple ports allows users to charge to devices at a time, and 5V 3.4 amp total output ensures that devices are charged quickly. The Belkin Pocket Power 15,000 mAh is available now for $79.95 from belkin.com/au, Harvey Norman, JB Hi Fi, Myer and more.